A mixture of agriculture and heavy industry in Connecticut has routinely provided employment opportunities for immigrants throughout the state’s history. Waves of primarily northern European immigrants arrived on Connecticut shores during much of the 19th century. A shift in economic circumstances in Europe brought large populations of southern and eastern European immigrants well into the 20th century. 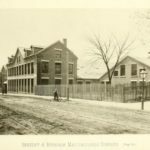 Among the opportunities Connecticut offered to newly arrived immigrants was the chance to work on farms, in brass and textile mills, in iron foundries, and in firearms factories. Today, new populations arriving from all over the world, especially Latin America, have helped expand Connecticut’s cultural diversity and given rise to vibrant ethnic communities throughout the state. “Ethnic Heritage Center,” 2017. Link. “Genealogy Resources.” Connecticut State Library, 2017. Link. “Polish American Historical Association,” 2017. Link. “The Connecticut Irish American Historical Society,” 2017. Link. “Connecticut Polish American Archives.” Central Connecticut State University, Elihu Burritt Library, 2017. Link. “Finding Aid to Immigration.” Jewish Historical Society of Greater Hartford, 2017. Link. “Finding Aid to the Bisaillon Collection of French Canadians in Connecticut.” UConn University Libraries, Archives & Special Collections at the Thomas J. Dodd Research Center, 2017. Link. Stave, Bruce M. “Finding Aid to the University of Connecticut, Peoples of Connecticut Project Records: 1979.0014.” UConn University Libraries, Archives & Special Collections at the Thomas J. Dodd Research Center, 2017. Link. “Guide to Digitized Newspaper Content - Hungarian Immigrant Lives in Connecticut, 1909-1922.” Connecticut Digital Newspaper Content, 2017. Link. “Guide to Digitized Newspaper Content - Polish Immigrant Lives in Connecticut, 1909-1922.” Connecticut Digital Newspaper Project, 2017. Link. “Guide to The Immigrant Experience in America.” UConn University Libraries, Archives & Special Collections at the Thomas J. Dodd Research Center, 2015. Link. “Guide to the Waterbury (CT) Area Immigrant Oral History Collection, University of Connecticut Urban and Community Studies Program, 2003-2011.” UConn University Libraries, Archives & Special Collections at the Thomas J. Dodd Research Center, 2017. Link. Hoffman, Betty N. A History of Jewish Connecticut: Mensches, Migrants and Mitzvahs. Charleston, SC: History Press, 2010. BetGivargis-McDaniel, Maegan. Assyrians of New Britain. Charleston, SC: Arcadia Pub., 2007. Meyer, David R. From Farm to Factory to Urban Pastoralism: Urban Change in Central Connecticut. Madison, WI: University of Wisconsin Press, 1976. Anderson, Ruth O. M. From Yankee to American: Connecticut, 1865-1914. Chester, CT: Pequot Press, 1975. Mayer, Henrietta Mello. South of the Cannons: Portuguese Families of Stonington: A Genealogy and Chronology. Stonington, CT: The Stonington Historical Society, Inc, 2011. Gesualdi, Louis J. 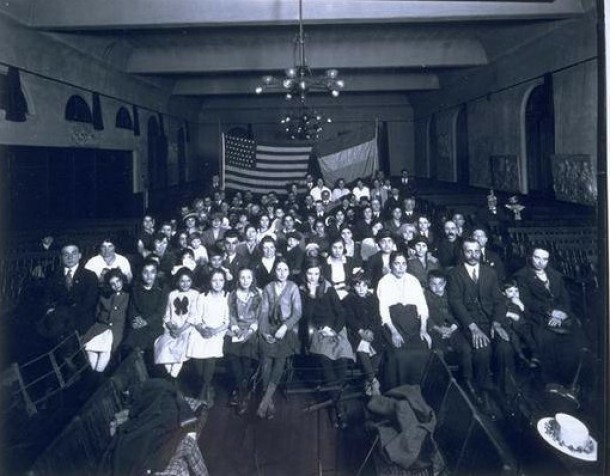 The Italian Immigrants of Connecticut, 1880 to 1940. New Haven, CT: Connecticut Academy of Arts and Sciences, 1997. Buel, Richard. The Peopling of New Connecticut: From the Land of Steady Habits to the Western Reserve. Middletown, CT: Wesleyan University Press, 2011. Woodward, Walter. “Immigrants All….” Connecticut Explored, Fall 2013. Link. Close, Stacey. “Southern Blacks Transform Connecticut.” Connecticut Explored, Fall 2013. Link. Glasser, Ruth. “Tobacco Valley: Puerto Rican Farm Workers in Connecticut.” Connecticut Explored, Fall 2002. Link. Schlund-Vials, Cathy. “Wartime Relocation Brings Japanese Americans East.” Connecticut Explored, Fall 2013. Link.